What's one of the most important things you can do to resist Trump's agenda? Vote... specifically in the 2018 midterms. But guess what – only 20% of millennials are expected to turnout. And being the most diverse, liberal, and educated generation, the future of the left is on our shoulders. So the question is, how can technology help increase millennial turnout? Working with the founder, we dived into research exploring generational voter trends, factors contributing to increased turnout, and the use of technology. The good news is that millennials are surpassing boomers as the most populous generation, but unfortunately we turnout at a much lower rate. Looking at data from our welcome survey new sign-up's receive, we discovered while over 82% of our millennial supporters consume political news often, 64% have never volunteered for political groups or organizations, such as phone banking or registering new voters. I conducted an exploration of the political engagement ecosystem by looking at branding, color, use of technology (in-house or third-party), social media messaging, voter engagement, and main calls-to-action on companies in the same space. 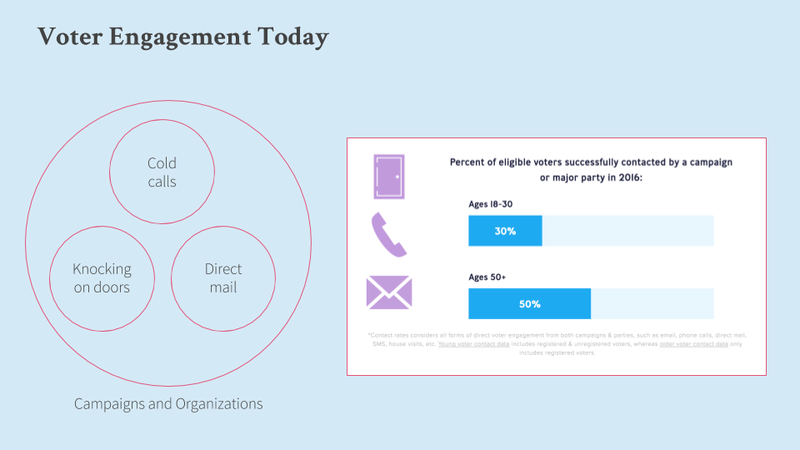 Looking at voter engagement systems, as well as talking with leaders in the space, we discovered a few things: 1) campaigns and organizations rely on outdated tactics to engage the digital generation and 2) they're too risk averse to innovate. As a result, only 30% of eligible voters ages 18-30 were successfully contacted by a campaign in 2016. 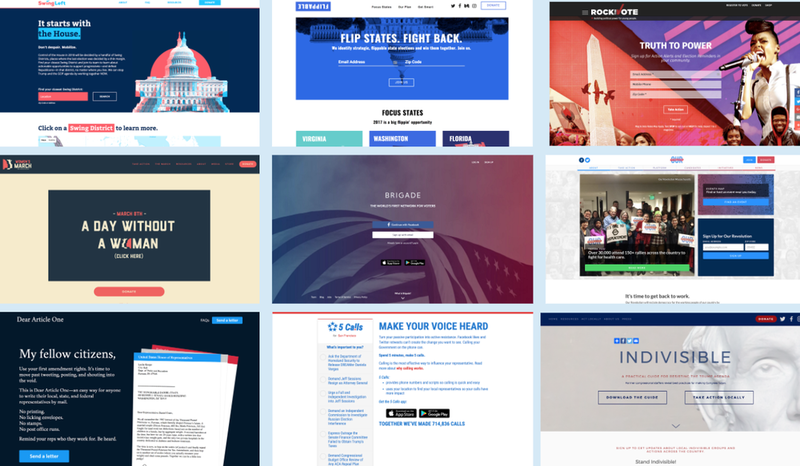 We realized many political campaigns and organizations don't actually build their own technology, but utilize 3rd-party tools from political tech companies. On the other hand, political tech companies rarely engage with voters directly . 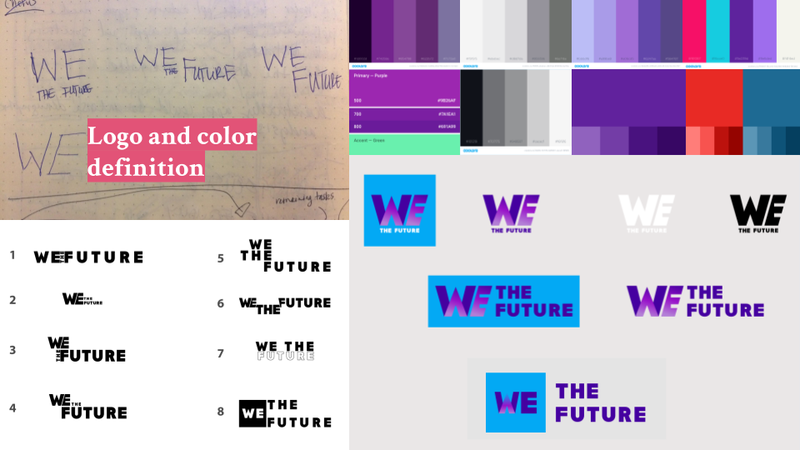 We the Future seeks to build its own technology and directly engage and mobilize voters, thus being one of the first in the space to create citizen-facing technology. Understanding the problem space required a lot diagramming and splicing information and systems in different ways. 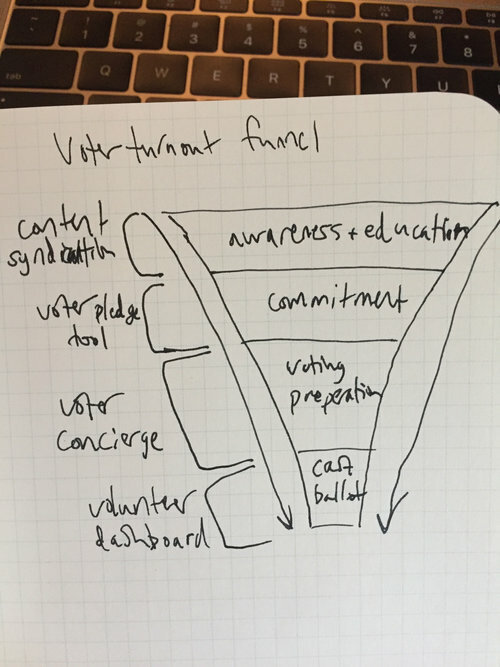 One of the most useful diagrams included the voter turnout funnel, developed through speaking with people working in the voter engagement space and reading research articles about best practices for engaging voters. 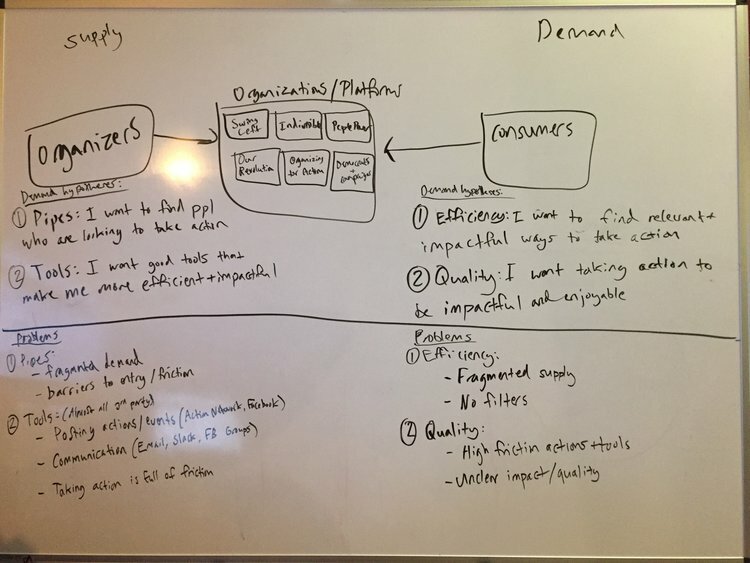 We decided to focus our efforts on the second phase of the funnel: commitment. Studies were conducted that showed people who commit to vote, whether through signed mailers or online pledges, increased their chances of actually turning out. 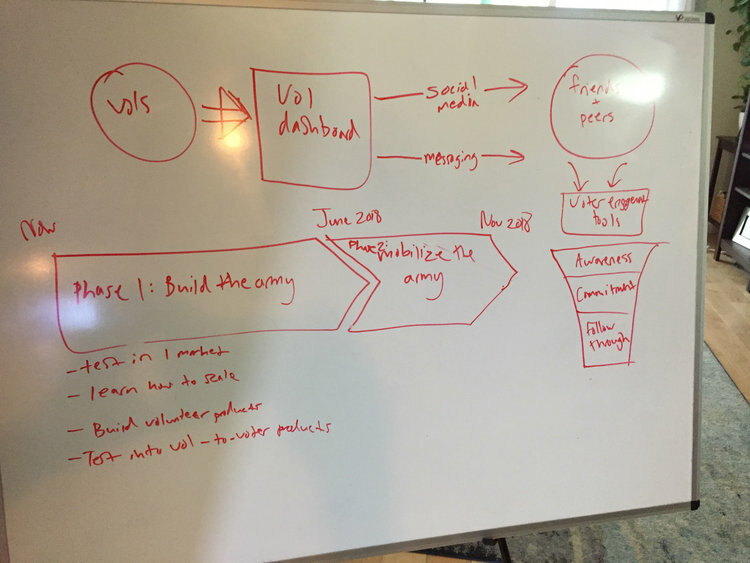 Starting with the Pledge to Vote tool, the plan included expanding to the next phases of the funnel through a Voter Concierge Tool and Volunteer Dashboard. The set of three products would allow anyone to become an organizer and manage voter registration within their networks and communities. 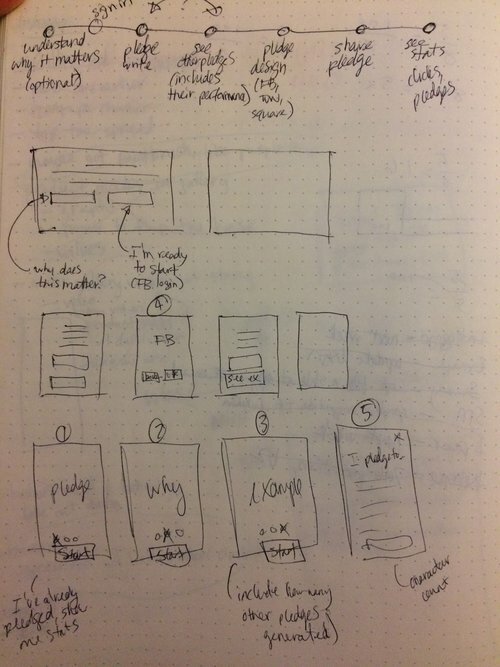 From earlier sketches to later iterations, I explored a variety of different flows and solutions for pledging to vote, first receiving feedback from teammates and mentors, and eventually conducting usability testing with a group of millennials. 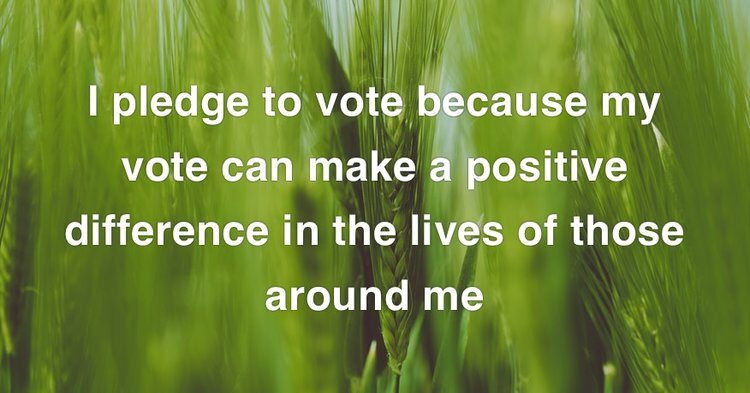 The final Pledge to Vote product provides private and public pledging options that increase the likelihood people will turn out. 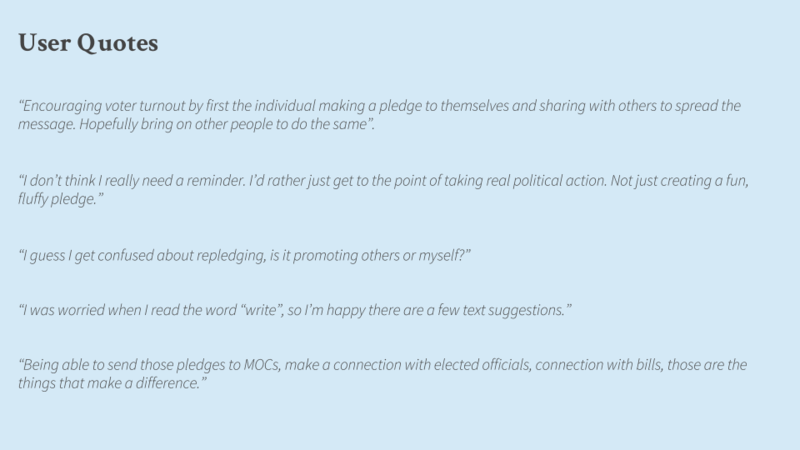 When a user shares a public pledge on Facebook, a unique link is created the enables the user to track how many of their friends clicked on their pledge and subsequently signed up on We the Future. 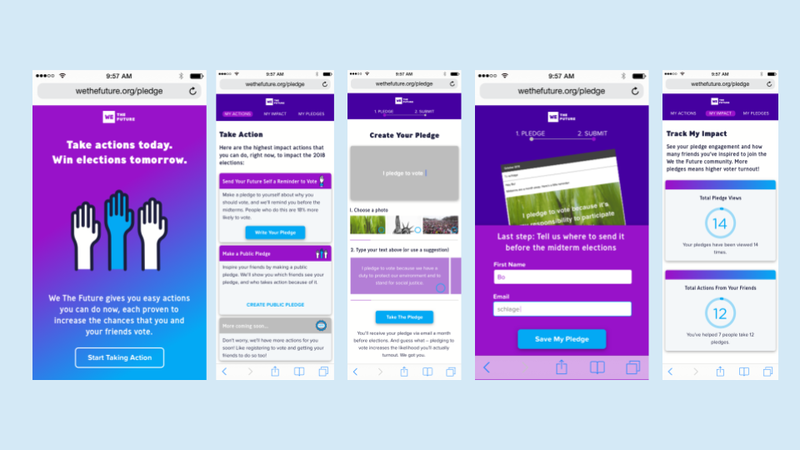 The long term vision includes users being able to help their new sign ups get registered to vote and encourage them to complete the steps to actually turnout. There's no need to phone bank or knock on doors, you can manage your community from home! 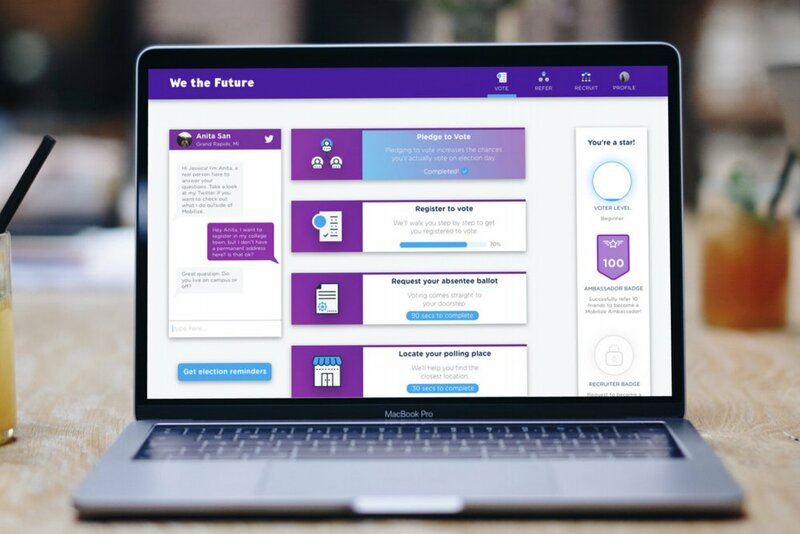 While we focused first on the Pledge to Vote Tool, there was a need to communicate the long-term vision of the company. Therefore, I created mocks portraying the Voter Concierge and Volunteer Dashboard products. We released the MVP to a group of beta testers and were happy to see pledges shared on Facebook. 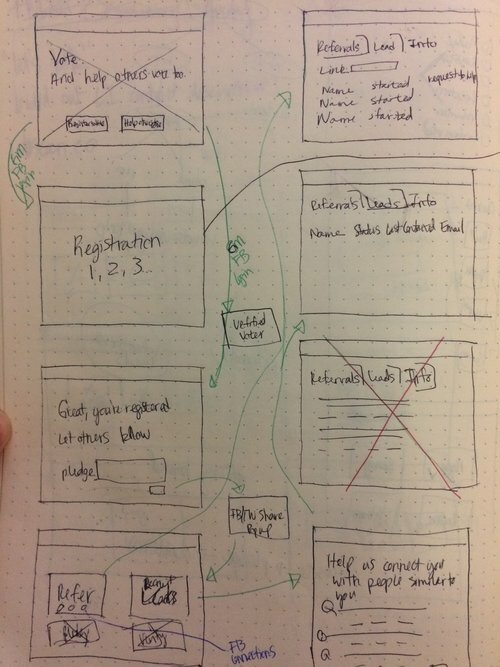 We also tracked user behavior to understand when folks dropped off the flow.